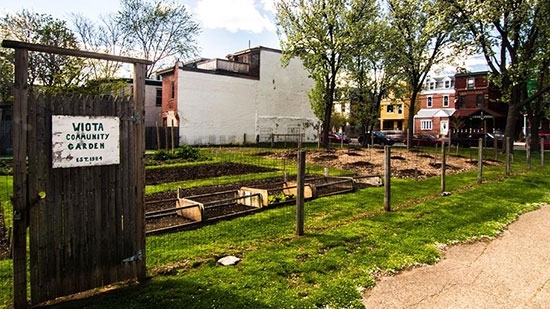 Residents in Powelton Village in West Philadelphia are rejoicing after their longtime neighborhood garden was saved from sale and redevelopment this week. The Wiota Street Garden at Wiota and Powelton was founded in the 1980's by John Lindsay. It has long served the community as an urban garden and farm used to grow food. The 11,000 square foot lot is also prime real estate that has caught the eye of developers over the years. The Redevelopment Board had to decide either to save this garden to sell to a developer who wanted to build several town homes on the lot. The community made its loud voice known and the garden has been saved. It is one of many such gardens throughout the city, but this story of victory is not always the case. SEPTA plans to crackdown on panhandling ahead of this month's NFL Draft in Philadelphia. Officials say that panhandling in subway or train stations or on buses and trains themselves is different than on the street because people can feel trapped or blocked. Those caught begging will be referred to social services to receive help. Arrests or citations will only occur for repeat offenders or those that refuse help.